Hadoop Developer role is similar to Software Developer.Responsible of hadoop developer is programming and develop the hadoop applications and all components of hadoop ecosystem.Here we discuss about main roles and responsibilities to become a hadoop Developer. 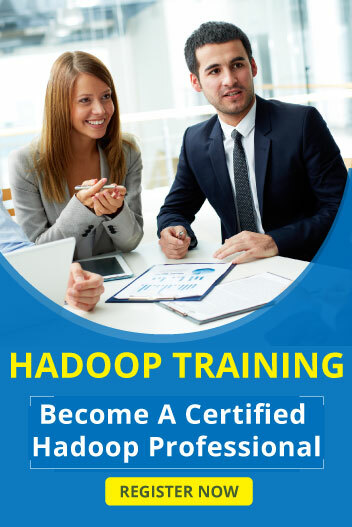 The best hadoop developers must know how to decode the data and transforms the data secured. Hadoop developer using ecosystem tools for data cleaning.. After cleaning the data hadoop developer give report using BI tools. Hadoop Developers are expert in advance technologies of hadoop and daily update the hadoop skills. Loading large amount of data from datasets. Every Hadoop developers should know requirements of input and output of the hadoop transformations. Developers spends more time for data cleaning based on business. Hadoop Developers are maintains the data at securely. Knows all scripting languages like python,pig latin etc.. Experience in handling the all hadoop tools like sqoop,flume. Having Basic knowledge in ETL tools.